Home > FAQs > Global > Renewals and Transfers > Renew Your Contract > How do I know when it's time to renew my plan? 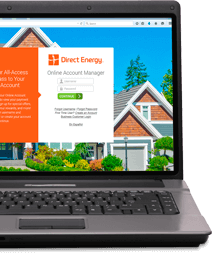 Direct Energy contacts customers on a fixed-rate contract plan with plan renewal information via e-mail, phone call, and traditional paper mail beginning 60 days in advance of your estimated contract expiration date. In general, customers on a fixed-rate plan can renew their plan up to 60 days in advance of their estimated contract expiration date. You can learn this date by logging into your Online Account Manager with your User Name and Password. Once you have logged in, hover over the "Account Management" tab in the top navigation bar and click "Plan and Account Management." Then, scroll to the bottom of the page to view the field marked "Estimated Contract End Date." This date can be seen on the second page of your Direct Energy bill. If you do not see a date available in the area indicated, this means you are on a variable-rate no-contract plan, and you do not have a contract expiration date.